One of the biggest indicators of a shifting foundation is a shifting floor. For example, you may notice the appearance of dips or slopes in certain areas of the floor inside your house. Floorboards may squeak, or you might hear dishes and furnishings rattling when someone walks by. Call a professional to check for foundation settling or damage if you notice the floor sloping inside or if it looks like your home is angled or sinking from the outside. A lot of cracks in the walls, molding, ceiling or foundation is a sign of a damaged foundation, but correcting the problem quickly can prevent further issues. Keep in mind that not all cracks are the same, as some are related to normal house settling, while others can indicate foundation problems. Take thin cracks that are less than ¼ inch. Cracks of this size may require a simple seal to prevent water absorption. However, wider or larger cracks should not be ignored and will likely need to be looked at and repaired by a professional. 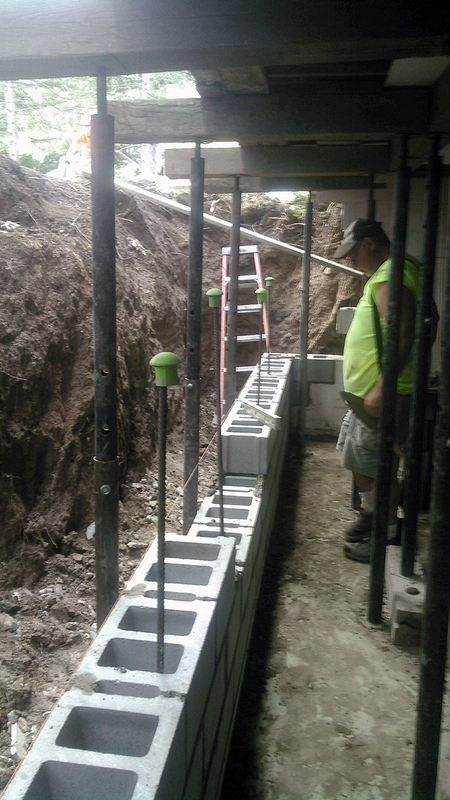 It’s not unusual for walls to be attached to the home’s foundation without being truly connected. Since this is the case, there could be a problem with your foundation if the walls no longer line up with the foundation. A shifting or damaged foundation could also cause wallpaper to crease, fold, wrinkle or even rip. Because you see the inside of your house everyday, bowing walls may not be that obvious to you. However, foundation issues due to soil expansion could be causing the walls of your basement to appear bowed, while a sinking foundation may significantly bow the walls in other rooms of the home. Another sign of foundation issues is a chimney that is no longer standing straight—take a close look at your chimney to see if it’s leaning to one side. Of course, poorly installed windows and doors will have problems opening and closing from the start. However, if your windows and doors used to close easily but don’t anymore, you could have a shifting or deteriorating foundation. What does this have to do with hard-to-close doors and windows? It’s related to the force of gravity, which affects your home’s windows and doors. Whether they are not closing easily or appear crooked, your best bet is to call a foundation repair specialist to come inspect things. For reliable residential foundation repair in Racine, WI, contact the professionals at Langenfeld Masonry & Concrete. Call us today for a free estimate or to schedule a service appointment! What Are Drain Tiles in Racine, WI?